Excitement around Destiny 2 is beginning to build up again, as Bungie has started teasing Expansion II after the recent 1.1.4 update that sped up the game. But Destiny is only as good as the fancy weapons and armor you can use. 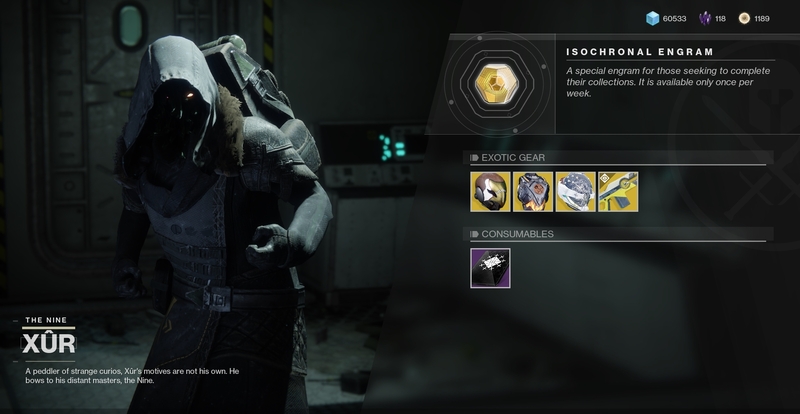 That's where Xur, Agent of the Nine comes in. And he's back this weekend with another selection of treasures for purchase. 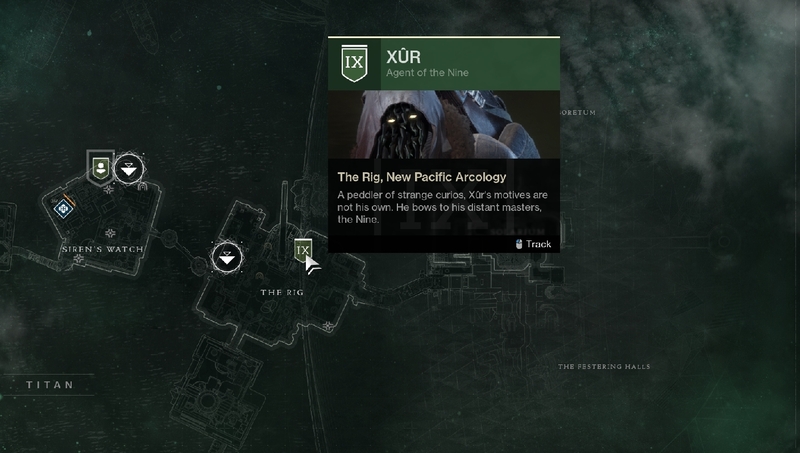 Xur is in his usual spot on Titan, inside of a small, dark room in The Rig section of the map. This weekend, Xur's weapon for sale is Prometheus Lens. This Exotic trace rifle from the Curse of Osiris expansion fires a Solar trace beam that generates a damaging heat field that grows while the weapon continues to fire. Kills with Prometheus Lens return a fraction of the ammo used to the magazine, effectively extending the beam's duration. It costs 29 Legendary Shards. This week's Hunter armor is Celestial Nighthawk, one of the best PvE armors in the game. This helmet modifies Golden Gun to fire a single, high-damage shot. This powers up your Super in a big way, allowing you to deal massive damage to single targets like Raid and Strike bosses. It's on sale for 23 Legendary Shards. For Titans, Xur has brought Hallowfire Heart. This chest piece greatly improves the recharge rate of your Solar abilities while your Hammor of Sol Super ability is charged. It costs 23 Legendary Shards. Last but not least, Warlocks get Eye of Another World. It's a helmet that highlights priority targets and improves the regeneration speed of your grenade, melee, and Rift abilities. It's on sale for 23 Legendary Shards.